The Rayvolt Philosophy is to promote alternative transportation by offering our customers a clean, high tech and stylish way to commute. The name comes from the Sun Ray and the electrical unit Volt and put together sounds like its homonym “Revolt”. The Sunray, the Voltage and the Revolt are the fundamentals behind our brand. The Rayvolt Bike Cruzer is the original model that inspired Rayvolt. Its design is influenced by the first motorcycle era, the 60’s café racer and surfing beach cruiser. 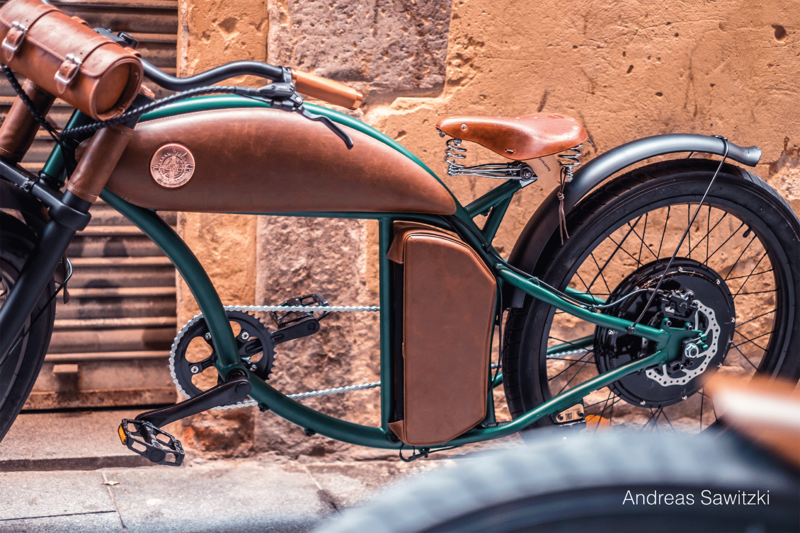 This vintage design combined to the innovative technology from EIVA and the Rayvolt Hub makes this bike a timeless piece that will definitely mark an era. The Rayvolt Cruzer is available in Clockwork Orange, British Green and Gun Metal Grey. The name comes from the Sun´s Ray and the electrical unit Volt and put together sounds like its homonym "Revolt"
We use Lithium on all our batteries as it is the best clean energy available today for performance application. Lithium is a natural resource that is 100% recyclable.